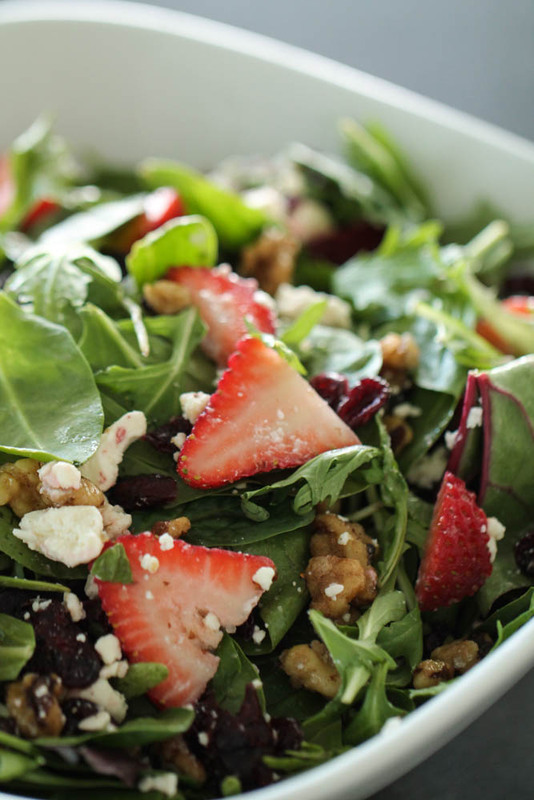 I love having fresh salads as soon as spring and summer come around! 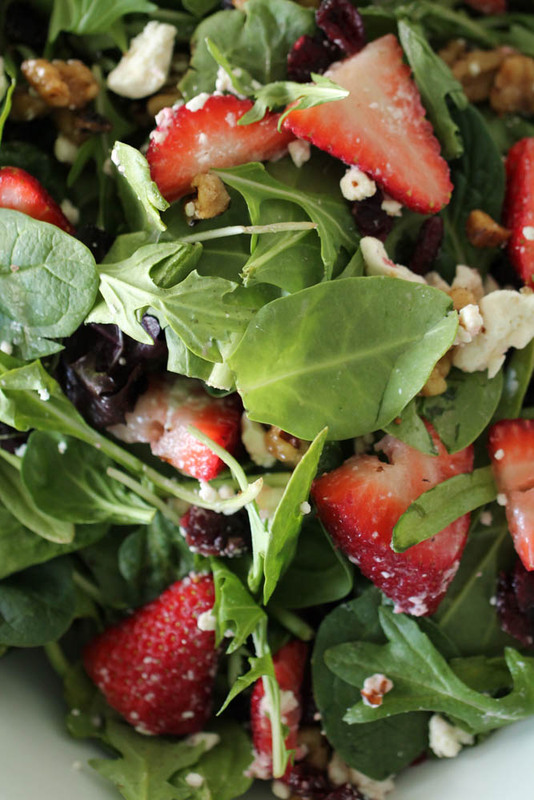 This spring salad is filled with so much flavor from the strawberries, feta, craisins, candied walnuts and homemade lemon poppyseed dressing! This salad is perfect for serving at parties and gatherings. This salad can be thrown together in a matter of minutes! The hardest part is slicing the strawberries! The feta cheese and candied walnuts add different textures and flavor to this salad! I also love all the different greens that come in the spring salad mix. It makes it so delicious and beautiful all at the same time! I love salad with a good homemade dressing! 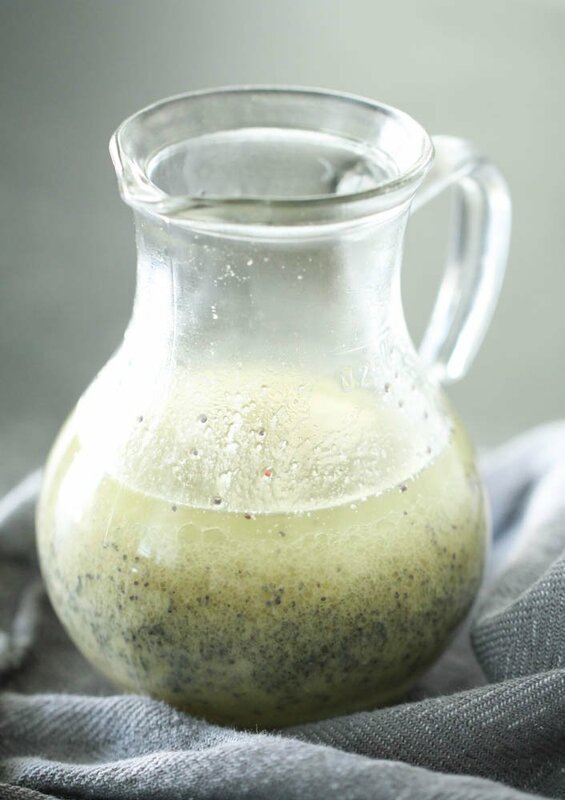 This homemade lemon poppyseed dressing is so easy to make! Just whisk all the salad dressing ingredients together and it is good to go! I like to serve my salad undressed with the dressing on the side so people can dress it themselves or you can dress the entire salad right before serving so it doesn’t get soggy. In a small mixing bowl, whisk together all dressing ingredients. Pour dressing and toss right before serving or serve with dressing on the side. Dressing separates, so mix before dressing if made ahead of time. This salad goes perfectly with our Almond Crusted Chicken, Baked Saltine Cracker Chicken or Bacon Wrapped Cream Cheese Chicken!